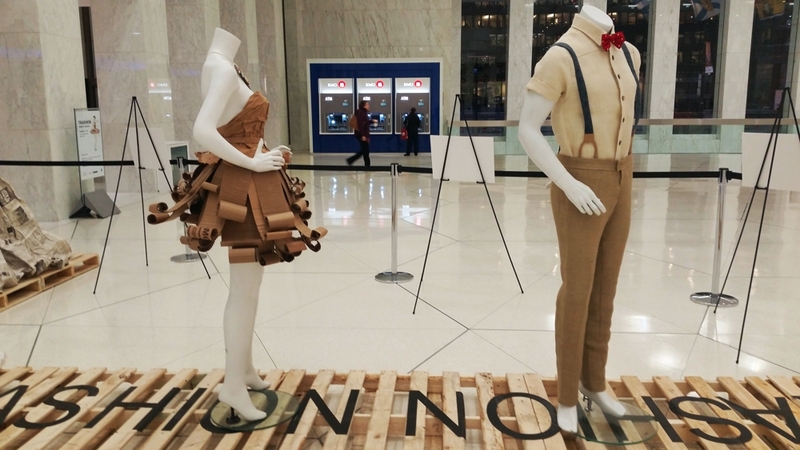 Reduce, reuse and recycle with new fashion trends which were displayed in the main lobby of First Canadian Place. The clothes were designed as part of installation for Waste Reduction Week and made from unwanted materials re-purposed into fashion statements to show the potential uses for waste. Combining Trash and Fashion into an artistic statement to promote waste reduction. 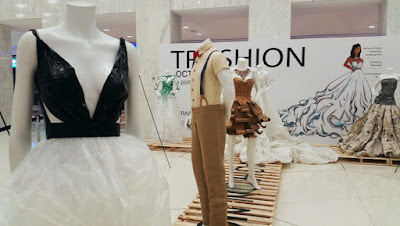 Mannequins in the lobby were placed on a pallet runway with posters providing additional information on the clothes. My favourite piece was the cardboard dress but several items were made from newspapers and plastics by designer/artist Michelle Sin who is a student at the University of Waterloo. 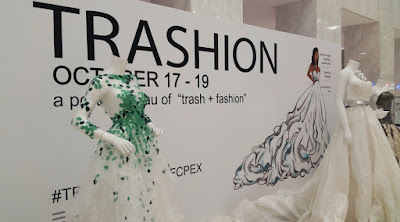 "In nature, there is no such thing as waste. 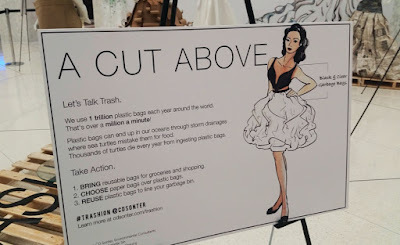 Everything that is "waste" is an input for another part of a cycle. 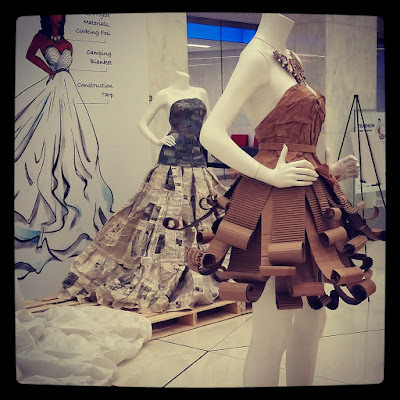 So let's REDEFINE WASTE AS A RESOURCE and change our DISPOSABLE CULTURE into an INNOVATION CULTURE. Think twice before throwing something away because in reality, there is no "away"." 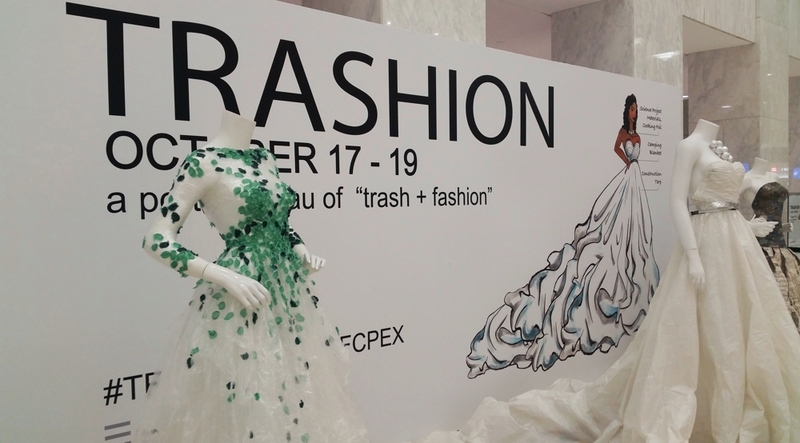 The exhibit is part of the October 16-20, 2017 Waste Reduction Week and will only be on display from October 17-19.